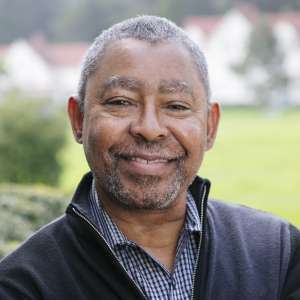 Robert A. Wilkins Sr. is the Managing Principal of the HIIP Group Ltd., a management consulting firm specializing in strategy, organizational development and marketing communications for social enterprise businesses and corporations in the western United States. He is a Visiting Professor of Community Leadership and Functional Theology at American Baptist Seminary of the West in Berkeley, California. From 1997 to 2016, Wilkins served as the President and Chief Executive Officer of the YMCA of the East Bay. Mr. Wilkins is an ordained minister of the American Baptist Churches USA. He has served as the Associate Pastor for Young Adults at the historic Allen Temple Baptist Church in Oakland and as Assistant Campus Minister for the American Baptists at the University of Southern California. Wilkins received his undergraduate degree from the University of Southern California. He obtained Master of Divinity Degrees from American Baptist Seminary of the West in Berkeley, California; and Fuller Theological Seminary in Pasadena, California. He completed coursework for the Doctor of Ministry degree at the San Francisco Theological Seminary. He is an alumnus Fellow at the Center for Social Innovation at the Stanford Graduate School of Business and earned a Certificate in Strategic Marketing from the Marshall School of Business at the University of Southern California. Wilkins holds leadership positions in many civic and religious organizations including the following boards: American Baptist Seminary of the West, Beneficial State Bank, Beneficial State Foundation, Brotherhood of Elders Network, Graduate Theological Union [Vice Chair], the Oakland A’s Community Fund, and the Park Advisory Committee of East Bay Regional Park District.